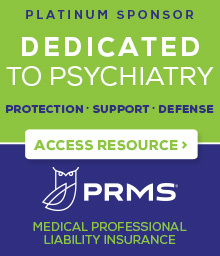 Passage of this legislation represents a collaborative effort as NYSPA partnered with MSSNY, the NYS Psychological Association, the National Association of Social Workers – New York State and New York City, the New York Society for Clinical Social Work, LGBTQ advocacy organizations, medical specialty societies and a broad array of MH/SUD consumer and provider organizations. These efforts build on actions taken by Governor Cuomo in 2016 to prohibit coverage and reimbursement of conversion therapy by insurers, health plans and the Medicaid program and barring the provision of conversion therapy in mental health facilities operated or funded by the State. NYSPA wishes to thank all of its members who have taken the time to write and call their legislators in support of this legislation over the years, a critical component in our advocacy efforts, and would like to acknowledge Barry B. Perlman, M.D., Past Chair of NYSPA’s Committee on Legislation, Jack Drescher, M.D., and Frank Dowling, M.D., whose leadership and advocacy, including trips to Albany, made this historic success possible. Please click here to view a copy of our joint press release regarding the legislation.